Last edited by Helios on Wed May 21, 2014 10:40 am, edited 1 time in total. Best track on the album, hands-down. I had a name, my father called me Blues. 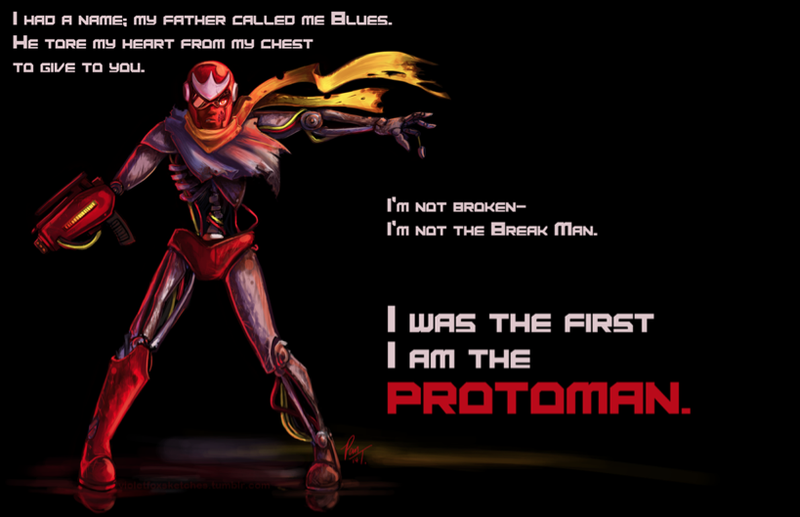 I think they should've gone with The Red Song as the name instead of I'm Not The Breakman, personally. Easily the best song on the album. The "My father called me 'Blues'" line....you can just feel the pain in that line from Proto Man. Great job Megas! After this line is sung, the Get A Weapon theme plays. So I wonder...is that the answer to his question? "What am I supposed to be?" "A weapon." Kind of feels like Protoman may be going through something similar to what Mega went through in Fly on a Dog...and it's an interesting juxtaposition, considering Mega was upset to be considered the son at the time, and Protoman is jealous of him for it. Last edited by Shaelyn on Wed May 14, 2014 5:37 pm, edited 1 time in total. 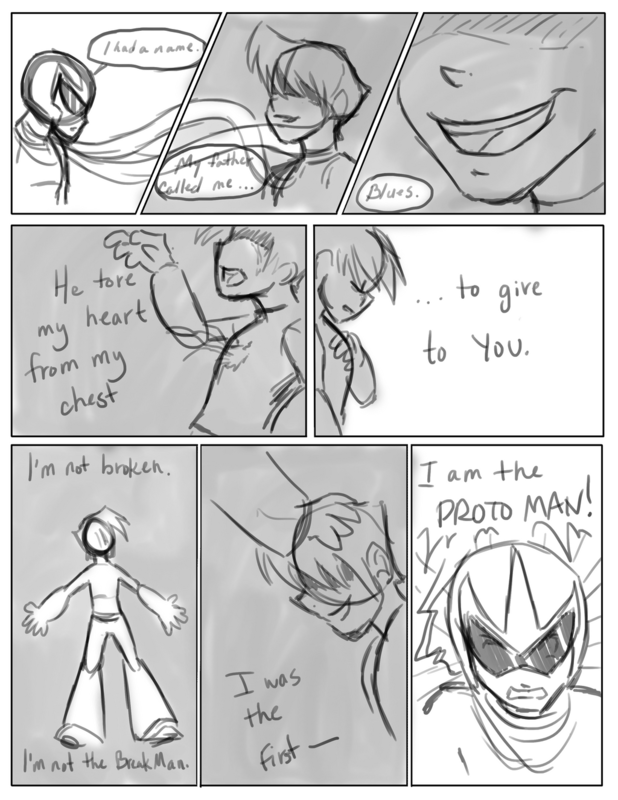 Poor Protoman has a broken heart. 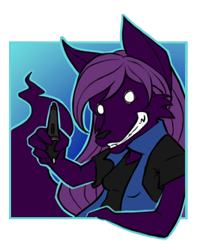 That comic pretty much sums up what I picture whenever I hear that part. In The Megas cannon: Is Proto just a robot skeleton or does he has his looks like in the original universe? That my best guess too, because of the cover and the metallic steps of the Red Song, but will he ever get.. Skin?